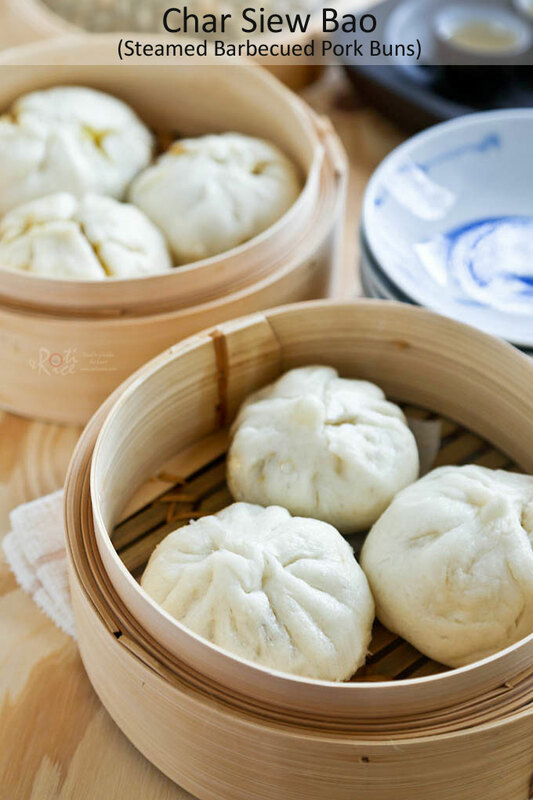 Char Siew Bao is a soft, white, and fine textured steamed bun filled with sweet barbecued pork filling. In Malaysia, these warm delicious buns are popular on-the-go breakfast food. In the old days, they are often found steaming in huge bamboo steamers stacked high in front of the coffee shop (food court). This and the scent of the baos and bamboo steamers are truly comforting! Today, the bamboo steamers have been replaced by neat but sterilized glass case steamers. Sadly, many home cooks including myself have also switched to the more convenient and contained electric steamers. I do this to prevent the steam from fogging up the windows in our tightly insulated home especially during the colder months. Mini Char Siew Baos are a mainstay of a dim sum spread. They usually come in threes served in small bamboo steamers. For us, they are not as popular during a dim sum feast because they are so easily available. My parents usually pick a rack or two as a filler towards the end just in case we have not had enough of the other goodies. 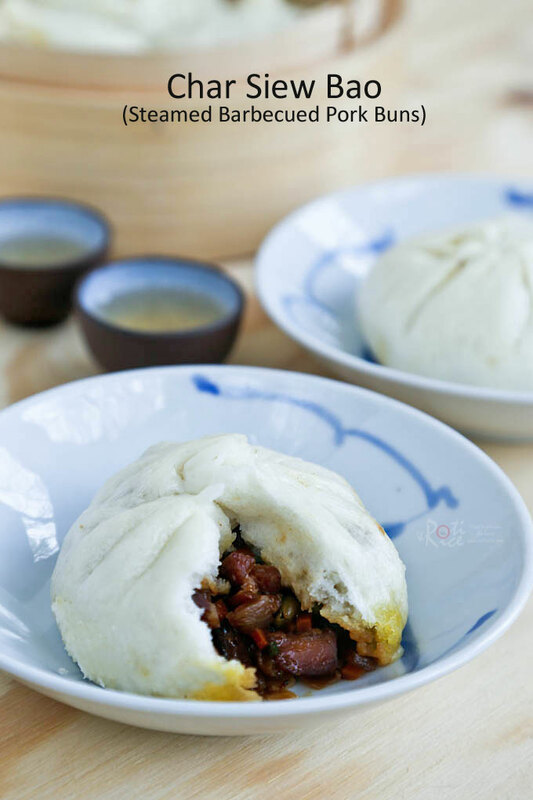 The filling for Char Siew Bao as the name suggests, consists mainly of char siew (Chinese barbecued pork) which can be purchased at most dim sum restaurants. It can also be homemade but that is a post for another time. In the recipe below, I added some chopped carrots and green peas because I had only a small piece of char siew insufficient for 12 baos. Please use an entire pound (450g) of char siew (without the carrots and peas) if preferred. The secret to a super soft, white, and fine textured bao is in the flour. 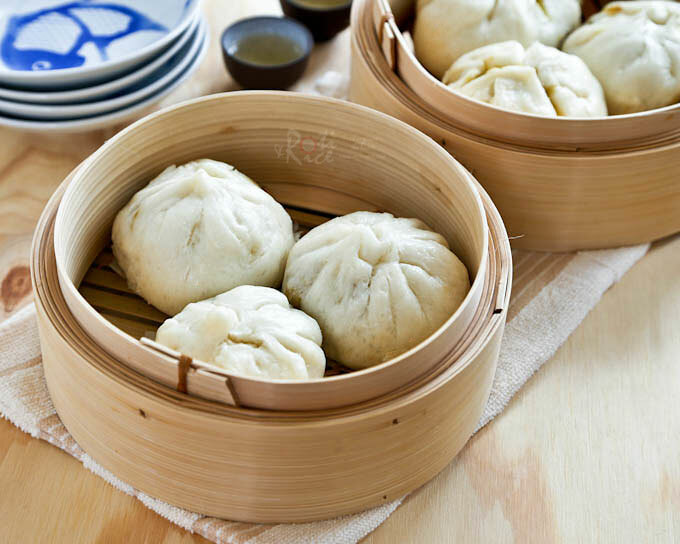 While all-purpose flour produces decent baos, Hongkong or bao flour is the best. It is a highly bleached low-gluten flour processed specifically for baos and other Asian delicacies. Unfortunately, it is not found in my part of the US. I purchase my Hongkong flour whenever I visit my parents in Malaysia. It keeps well in the refrigerator. Over the years, I have tried a few different types of flour yielding different results. You can see pictures and read about it in my Tau Sar Bao post. You can also read more about it here. Heat vegetable oil in a medium size pan. Saute garlic, onion, and carrot for 2 minutes. Add char siew and fry for another 3 minutes. Add hoisin sauce, dark soy sauce, and ½ cup (120ml) water. When liquid comes to a boil, reduce heat and simmer for 3 minutes. Add frozen green peas and continue to cook for another 3 minutes. Pour in cornstarch mixture. When sauce thickens, turn off heat. Mix in sliced green onions. Set aside and allow filling to cool. Sift flour, powdered sugar, salt, and baking powder into a large bowl. Make a well in the middle. Fill well with warm water and yeast. Gently stir the water with a spatula to dissolve the yeast. Then mix in flour to form a soft dough. With clean hands, knead dough in the bowl for about 5 minutes. Cover bowl with plastic wrap and allow it to rest for 10 minutes. Add vegetable oil and knead to get oil incorporated into dough. Remove from bowl and continue to knead on a flat surface for another 8 to 10 minutes until dough is nice and smooth. Put dough back into the bowl and cover with plastic wrap. Allow dough to rise in a warm place for 1 to 1½ hours or until double in size. Prepare 12 pieces of 2x2 inch wax paper on a large platter. When dough is ready, remove from bowl. Gently punch down and cut into 12 equal portions. Roll a portion of dough in the palm of your hands to form a ball. Flatten the ball into a disk of about 3 inches in diameter with a slightly thicker center and tapered edges. Add a rounded tablespoon of filling in the middle of dough. Gather and pleat the edges. Then pinch and twist to seal. Place seam side up onto wax paper. Repeat with remaining dough. Cover with tea towel and allow prepared buns to rest and rise for another 15 minutes. Prepare a steamer and allow water to come to a boil. 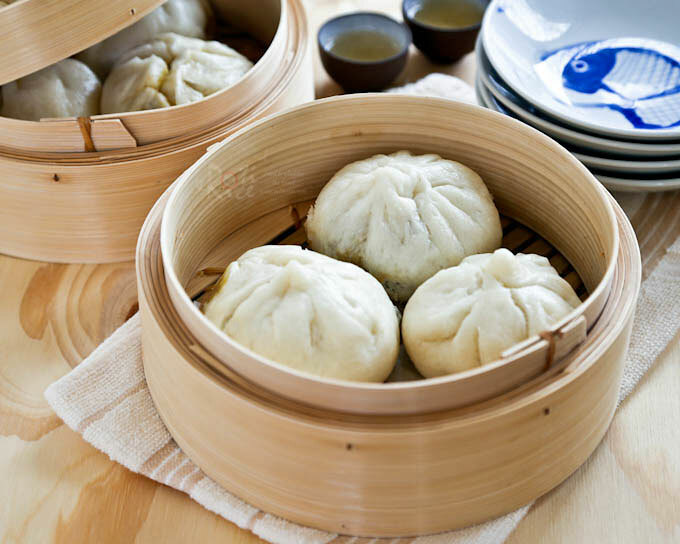 Place buns in steamer, cover with lid, and steam for 12 minutes. Remove lid carefully to avoid water from dripping onto buns. Steam in 2 batches if necessary. Leftover steamed buns may be kept in the freezer. 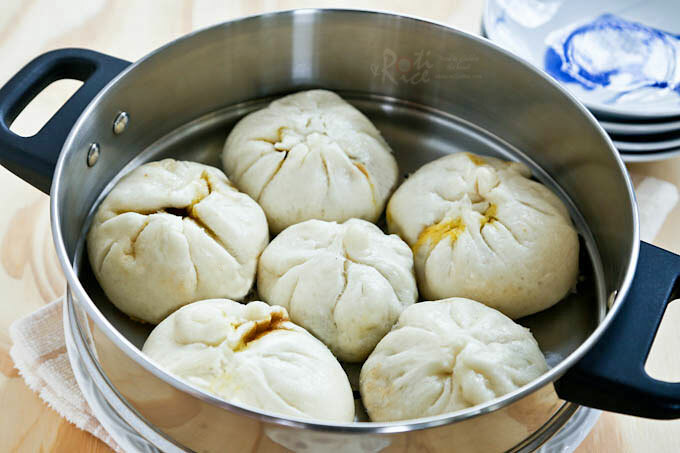 When ready to eat, re-steam frozen buns for 8 to 10 minutes. I have, have, have, have to learn to make these. I was having lunch with another food blogger last week and we both agreed this is next on the list. And the filling for these sounds wonderful. Thanks for such good instructions. Pinned. 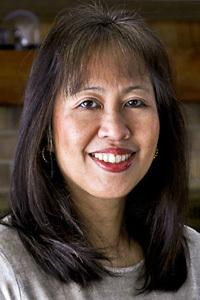 Good to see you here Lea Ann. 🙂 It took me forever to post these char siew bao although I have made it several times. I am glad you find the step-by-step instructions useful. I don’t have a steamer of any kind whats so ever, but I sure would love one! I just added it to my Christmas list. 🙂 I love these BBQ buns! Yours looks much better than the ones I get when I go for Dim Sum, much healthy as well. Great addition with the carrots and peas! Thanks for the instructions and the great recipe Biren! Thank you for the recipe looks delicious! I know it isn’t traditional, but can these be made with chicken? We don’t eat any pork at all in my family, but the flavors in this sound amazing! Just tried these with chicken and they turned out perfect! defo a weeknight staple in our household now thank you!